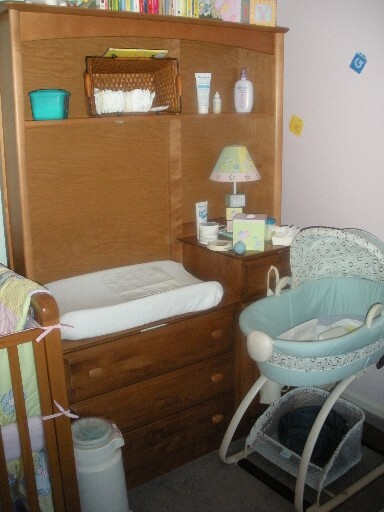 Please check out the pictures of Erin's nursery below. 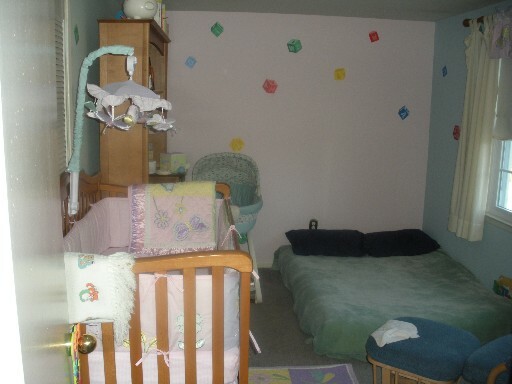 Each wall is a different color (blue, green, pink and yellow). 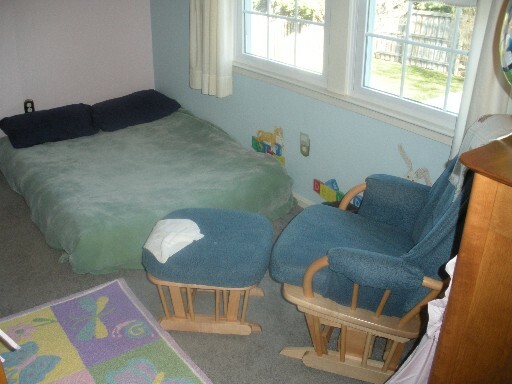 With these colors, we knew that the room would be suitable for a boy and girl. 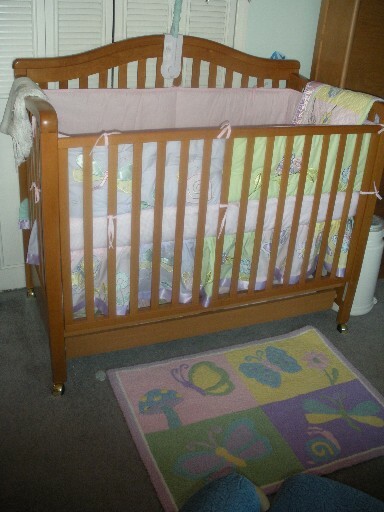 Since we have never found out the gender of our babies before birth, we viewed this color pattern as our best option. 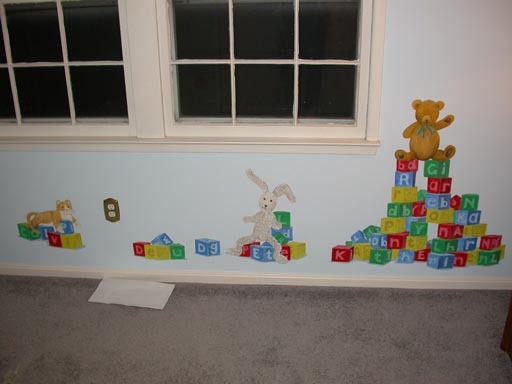 In an effort to spice up the room, A-B-C building blocks and a few animals have been painted on the walls. 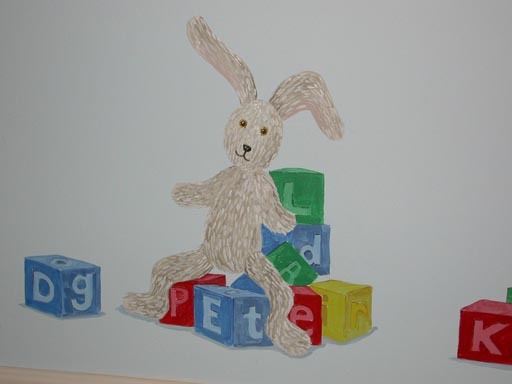 There is a cat, a teddy bear and a rabbit on the walls. 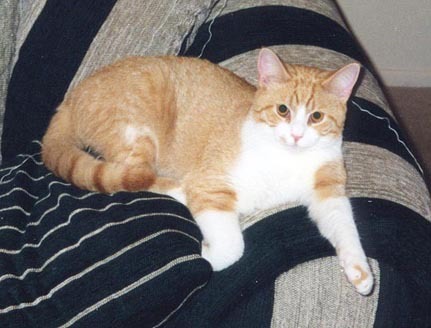 The cat on the wall is Calvin, our pet cat who died in 2004. 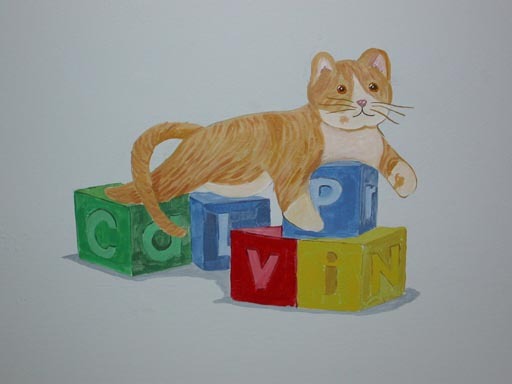 Lynn Whiteley from Whiteley Design Studio painted the blocks and the animals. Lynn goes to our church (Manassas Assembly of God) and used to be in our Sunday School class. Didn't Lynn do a great job? 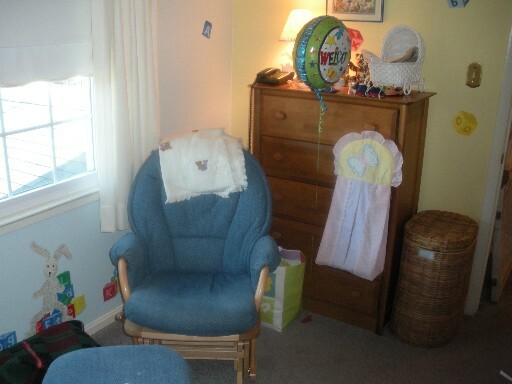 Some pictures of the nursery are below. How many names can you find on the wall? 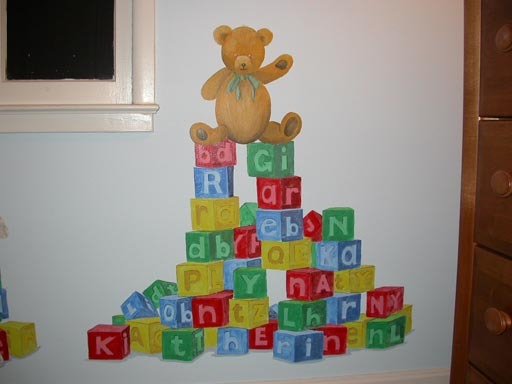 There are at least nine names written using the letters on the blocks.